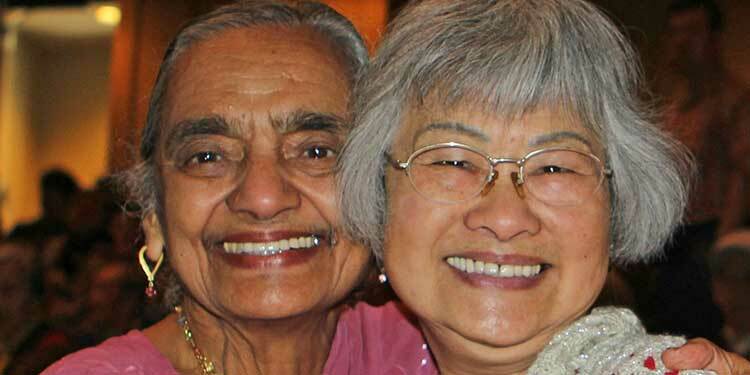 Try out one of the 14 free or low-cost activities during Richmond's Seniors Week June 4 to 9. Dating back some 4,000 years to ancient China, qi gong is a widely practiced traditional form of preventive and curative Chinese medicine. It has been said to promote longevity, improve moral character and in martial arts to enhance fighting abilities. Seniors are invited to try qi gong during this year’s Seniors Week June 4 to 9. This year’s theme is Explore and Connect, with Richmond’s seniors encouraged to engage and celebrate with other community members while exploring new activities that promote healthy and active aging. “As an age-friendly city, Richmond recognizes social connections to be extremely important to senior’s well-being,” says Mayor Malcolm Brodie. “Events such as Seniors Week contribute to the vitality and overall quality of life of Richmond’s seniors. With many of the programs free or low-cost, this is your chance to step up and learn to square dance or try your hand at any of the 14 activities planned. A detailed list of the 14 events can be found at any community centre, with translated versions available in Chinese and Pubjabi. The fun kicks off in style with a dance and social Monday, June 4 at 1:30 p.m. at the West Richmond Community Centre, 9180 No. 1 Rd. The afternoon will feature live music by local favourite Five For You as well as light refreshments. Register online weekdays from 8:30 a.m. to 5:30 p.m. or at any community centre. Transportation is available from some events at $3.